Look what we found for you on Amazon! Get them something new for summer break and the I’m bored’s will quiet down (at least for a while)! Hurry and get the Step2 Dash & Go Roller Coaster today for only $79.99 (** CHECK CURRENT PRICE **) from Amazon! This is the lowest price ever on Amazon. Check out all of the Amazon deals here! Get ready to dart and Dash downhill to the finish line with the Dash & go coaster by Step2. Watch as little ones can walk the stylized coaster car up the coaster ramp into the recessed wheel wells. Once the kid’s coaster car is in place, little racers are ready to roll. Coaster fans will be able to safely ride around with the raised seat-back, large-grip handles and foot rests. This kid’s roller coaster will provide hours of continuous active play. Made in USA of us and imported parts. Adult assembly required. 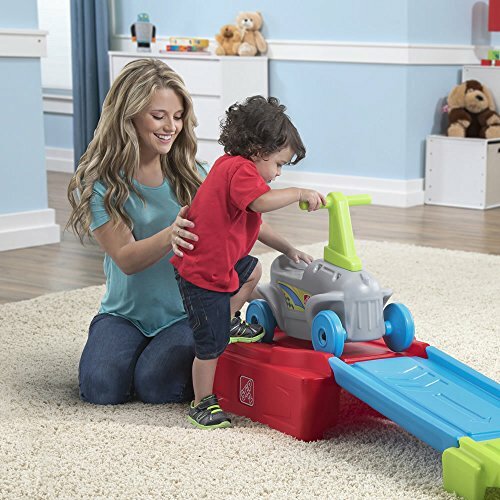 Buy the Step2 Dash & Go Roller Coaster from Amazon. Previous articleNerf MicroShots N-Strike Elite Firestrike – Low Price!